​Lifewide education and lifewide learning have an important role to play in the practical development of learning cities. In turn, a city that is committed to encouraging learning in all its forms (eg formal, non-formal and informal, directed and self-directed), provides the most favourable environment within which the practice of lifewide education and individuals' lifewide learning enterprises can flourish. A majority of the world’s population lives in cities. By 2030, the proportion is likely to exceed sixty per cent. In some countries eg UK the urban population is over 90%. As cities expand, municipal governments face challenges associated with social inclusion, new technologies, the knowledge economy, cultural diversity and environmental sustainability. In response, a growing number of cities are developing innovative strategies and cultures that allow, encourage and enable citizens of all ages, backgrounds and circumstances to learn throughout their life and in all aspects of their life, thereby helping to transform their city into a city that values and respects all forms of learning and personal development. The idea of a Learning City or City of and for Learning encourages us to think and act beyond the walls of established educational institutions and infrastructures and think about the city as an ecosystem containing vast opportunities, resources and potential for enabling people to learn and develop themselves in ways that meet their needs, interests and ambitions. In this way they can participate more fully in their own lives and in the life of the city which they inhabit and become the person they want to be and help sustain their families, communities and the city in the process. 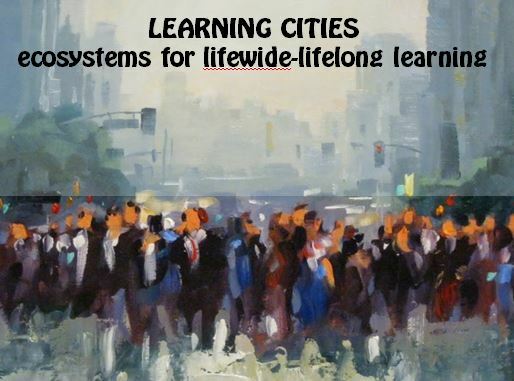 The Royal Society of Arts is promoting the US model of Cities of Learning. It published a blueprint for how a City of Learning might work in practice. A Place for Learning: Placing Learning at the heart of our civic culture imagines a fictional place, Kensalfield, led by a mayor who has committed to transforming the town into a City of Learning. The 20-point plan sets out how a city could be transformed in to a place which puts lifelong learning at the heart of its culture. The UNESCO's Global Network of Learning Cities supports and improves the practice of lifelong and lifewide learning in the world’s cities by promoting policy dialogue and peer learning among member cities; forging links; fostering partnerships; providing capacity development; and developing instruments to encourage and recognize progress made in building learning cities. More than 1,000 cities and urban areas in the world have become or are in the process of becoming learning cities as recognised through the UNESCO Learning City Award. ​http://learningcities.uil.unesco.org/... UNESCO's interest in learning cities stems from its global mission to support sustainable development. fostering a culture of learning throughout life. ​2017 Awardees: Sixteen cities across all UNESCO regions have been selected for the UNESCO Learning City Award 2017. All of these cities have made outstanding progress in implementing the Key Features of Learning Cities. The 2017 Awardees are: Bristol (the first city in England to receive the award), Câmara de Lobos (Portugal), Contagem (Brazil), Gelsenkirchen (Germany), Giza (Egypt), Hangzhou (China), Larissa (Greece), Limerick (Ireland), Mayo-Baléo (Cameroon), N’Zérékoré (Guinea), Okayama (Japan), Pécs (Hungary), Surabaya (Indonesia), Suwon (Republic of Korea), Tunis (Tunisia), Villa María (Argentina). The project involves three cities - Carvin in France, Brighton & Hove in the UK and Turnhout in Flanders, Belgium. The aim is to help people overcome barriers to learning, skills and education and improve the quality of their lives. The project seeks to share experiences and best practice to develop learning opportunities and support that encourage engagement in lifelong and lifewide learning, particularly for hardest to reach groups. Partners share a common vision of engaging children, young people and adults in personal, learning and skills development, to help achieve aims and ambitions and improve quality of life for participating individuals and their families. Education is key in helping develop vibrant and healthy communities and economies. 1. Creating city wide learning-friendly environments. 2. Fostering increased engagement and retention. The Learning Cities partnership of local authorities and third sector organizations want more people to achieve their personal goals, improve their life skills, qualifications, health and wellbeing, and encourage active citizenship and a strong sense of community. The three Brighton organisations taking part are The Bridge, Portslade Adult Community Learning and Brighton & Hove City Council Housing Inclusion team. The core idea is that a city mobilises behind a culture of learning supported by schools, colleges, libraries, museums, workplaces, and youth/community/civic organisations. Learners of all ages access ‘passion driven’ opportunities through a technology platform which guides them to relevant learning in the city and online and supports achievement through open digital badges (an online and shareable recognition of learning). 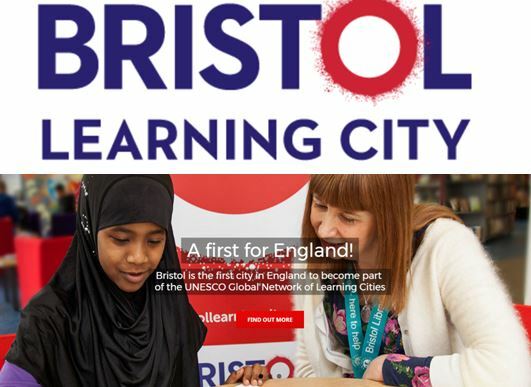 The Royal Society of Arts has a Cities of Learning project and is raising awareness of the approaches being developed in America using the LRNG platform (see below). RSA report explaining how a small city could develop a strategy to enable it to move towards a city of learning. In the summer of 2013, the City of Chicago’s Mayor’s office did something that no other city had done before – connected its learning opportunities through an initiative called Chicago Summer of Learning. 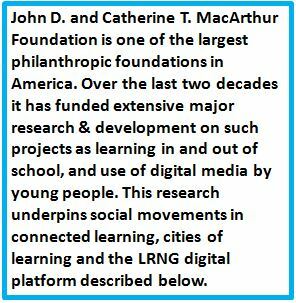 With funding from the John D. and Catherine T. MacArthur Foundation and largely “powered by” a Mozilla Foundation platform, Chicago Summer of Learning made the programs of hundreds of organizations easy to find online and the achievements of youth easy to identify via digital badges. That summer, thousands upon thousands of the youth who engaged in programs earned badges that indicated their participation and skill development. The Chicago Summer of Learning initiative was deemed a success. It quickly became clear that this “initiative” was actually an “infrastructure” – an infrastructure for a connected learning ecosystem. Enter Digital Youth Network (DYN). Our youth-centered, DePaul University-based organization has been an engine for learning innovation in Chicago for the past 12 years, with the support of the MacArthur Foundation, the Gates Foundation, and the National Science Foundation. ​The Digital Youth Network was borne from a question that challenged Dr. Nichole Pinkard, now a professor at DePaul’s College of Computing and Digital Media and head of its Design School. That single question, “How do we address the digital literacy divide that Chicago’s South Side youth face?” led not only to more questions, but to action and “intervention”, propelling DYN from working in the after-school space, to collaborating in formal school spaces, to innovating in library spaces, including our co-design of the now-national YouMedia model. ​As Chicago Summer of Learning evolved into the year-round Chicago City of Learning (CCOL), DYN stepped up to lead and facilitate the work involved in building a robust city-wide infrastructure designed to address the opportunity gap that exists between more- and less-resourced youth. Such an infrastructure might be powered by a technical platform – and we built one based upon our expertise in creating our own social learning network – iRemix. But a truly robust learning ecosystem infrastructure is powered through the dynamic interplay of several critical components that together, in addition to the platform, serve to make visible and connect learning opportunities for youth across spaces and places. There is a disconnect in today's traditional education system, which leaves many youth disengaged in school and unprepared for the workplace and community. Now more than ever, young people need access, inspiration and guidance. LRNG is an initiative targeted at young people living in cities. It provides a digital platform through which forms of learning that currently are not formally recognised can gain recognition through an electronic badge system. Interest-Driven We start with youth passions and connect them to learning opportunities based on their interests. Highly Connected Our platform lets us reach kids anywhere, connecting them to their community, mentors, and individual paths to success. Verifiable & Credible As evidence of knowledge, skills, and achievement, youth earn digital badges which garner credibility with peers, schools and employers. The Future of Learning is Lifewide, Lifelong & Open how do these ideas relate to learning cities? Dr Christine Redecker of the European Commission Joint Research Centre, Institute for Prospective Technological Studies shares ideas developed through EU Future of Learning 2030, and Open Learning studies. Christine's article and talk outlines concepts that have important implications and justifications for the idea of learning cities. The future of learning project created a number of learner personas & scenarios to show how people at different stages of their life in different circumstances and with different learning needs, interests and ambitions might seek and access opportunities and be helped to learn. These examples help us visualise the sorts of infrastructures, opportunities and forms of support that we might associate with a city that supports and encourages all of its citizens in their lifelong / lifewide learning enterprises. So how does a city become a learning city? This is the wrong question of course. A city owes its existence and prosperity to the collective learning and enterprise of all of its inhabitants, and not just those who live their now but all the people who have ever lived in the city. Cities exist from the time that people came together to live in them because people chose to live work and learn together in the same space. So the idea of a learning city is a narrative of becoming, a narrative that connects all the people of the city who are learning how to become a better version of themselves so that over time the city becomes a better version of itself. So a better question to ask is how can any city become a better version of itself as a city that supports, encourages and where appropriate enables recognition of the learning and achievement of its citizens? Here is a list of some of the practices and behaviours that cities who are striving to become better versions of themselves use. LEADERSHIP that is committed to achieving change over a substantial period of time. This is not a time limited project but a sustained commitment: it may take a decade to achieve a starting vision by which time the vision will have changed. Neither can leadership only be by the people who manage and control the system and its enterprises. In a city-wide ecosystem leadership needs to be distributed with activity led at all levels by all sorts of people through their own self-directed initiatives. VISION - that is inclusive and grown from many points of view and that evolves over time - vision is always a work in progress and ordinary people have to see their own lives in this vision. This means that the vision must embrace an inclusive concept of learning that makes sense to everyone it is designed to serve. For me this means a lifewide and lifelong view of learning that embraces individuals' formal, non-formal and informal learning. BROKERS – who help connect people, communities and organisations, events, technologies and much more. They act as catalysts for new ideas & approaches and help make new things happen. So the idea of a learning city is a never ending story of becoming. and over time the sorts of activities and behaviours outlined above gradually influence culture so that there is a noticeable difference in the way people think and talk about their city. The old Nigerian proverb tells us that it 'takes a village to raise a child' but as the world becomes ever more urbanised perhaps we need to adapt the wisdom in this proverb to the new reality - perhaps it takes a city and more to sustain people through the complexity, disruptions and unanticipated unfoldings of their lives in the urban world of the 21st century. Lifewide education and lifewide learning have an important role to play in the practical and conceptual development of learning cities. In turn, a city that is committed to encouraging learning in all its forms (ie formal, non-formal and informal, directed and self-directed), provides the most favourable environment within which the practice of lifewide education and individuals' lifewide-lifelong learning can flourish.